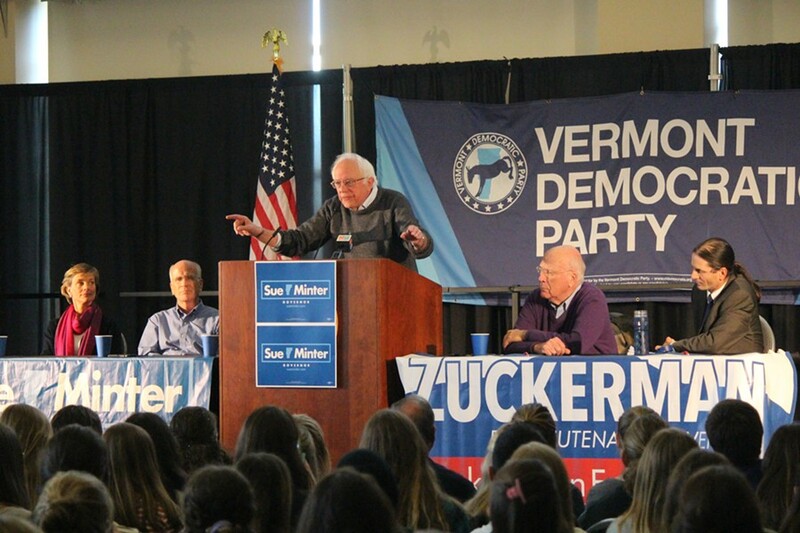 Sen. Bernie Sanders stumps for Sue Minter, far left, and David Zuckerman, far right, Sunday in Burlington at the University of Vermont. 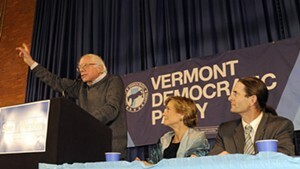 Sen. Bernie Sanders (I-Vt.) spent the weekend stumping for Vermont's Democratic slate. Now he's putting his fundraising might behind two of its top candidates. In a message sent Monday afternoon to his national email list, Sanders called on his loyal base of donors to contribute to Democratic gubernatorial nominee Sue Minter and Democratic/Progressive lieutenant gubernatorial nominee David Zuckerman. 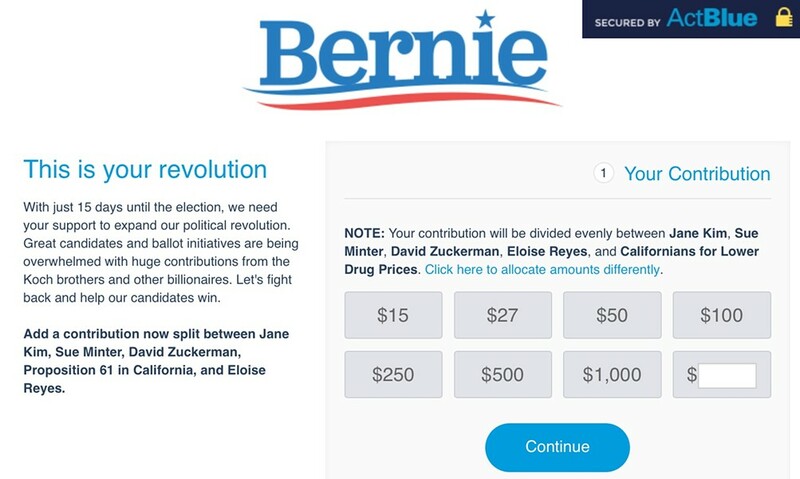 The email encourages Sanders' supporters to split their donations evenly between Minter, Zuckerman and three out-of-state candidates and causes: California State Senate candidate Jane Kim, California State Assembly candidate Eloise Reyes and California's Proposition 61, a ballot initiative designed to lower the price of prescription drugs. A Sanders web page designed to raise money for five candidates and causes. By 8:30 p.m. Monday — six hours after Sanders sent the email — Zuckerman had already raised roughly $20,000 from 2,800 donors, he told Seven Days. Minter's campaign declined to comment on its haul but issued a statement thanking Sanders for his support. Sanders has not previously raised money for Minter or Zuckerman, but he has proved to be an extraordinarily powerful fundraiser. 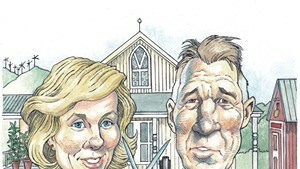 Last May, a single email to the former presidential candidate's list netted Rep. Chris Pearson's (P-Burlington) Vermont Senate campaign $60,000 within three days and, eventually, more than $80,000. That was more than enough to fund Pearson's entire campaign. Last week, Sanders raised more than $2 million within three days for various congressional candidates. Sanders was referring to a recent Vermont Public Radio poll showing Minter in a statistical tie with Republican nominee Phil Scott.